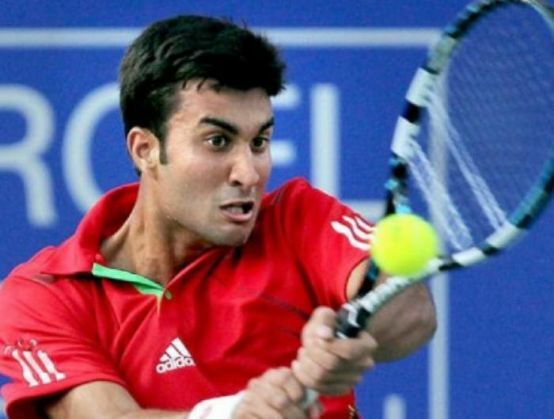 Yuki Bhambri on Monday, 19 October, cracked the coveted top-100 bracket by achieving a career-best rank of 99, a reflection of his consistent progress in the last few months. In his last three ATP Challenger tournaments, the 23-year-old Yuki won the Shanghai Challenger, was a runner-up in Taiwan and ended a semifinalist at the $125000 Tashkent event last week. Yuki is the first Indian player since 2010 to enter the top-100 and only the third in a decade-and-half to be in the list. His next assignment is the Pune Challenger, starting October 26 aft,er he pulled out of the Bangalore event due to some niggles. His Davis Cup teammate Rohan Bopanna congratulated him on twitter. "Congrats to @yukibhambri on getting into the singles top100. Well done yuks," Bopanna wrote. Not only Yuki but Saketh Myneni is also making a steady progress on the tour. He won the Vietnam Open yesterday and is now ranked 166. Somdev Devvarman though has dropped further to 181. India now have three singles players in top-200 in a rare feat for country's tennis players. Rohan Bopanna is country's highest ranked player in doubles at number 15, followed by Leander Paes (36) and Purav Raja (96).In the WTA doubles rankings, Sania Mirza continues to be world number one player.